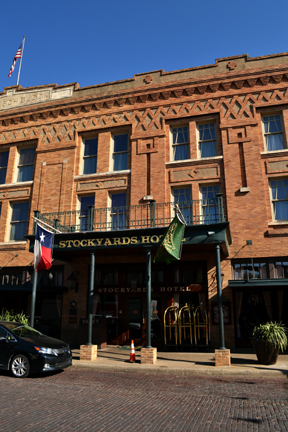 Fort Worth--Established in 1907, the Stockyards Hotel has housed both country legends and notorious outlaws. And maybe a ghost or two. In room 305--a suite named after the hotels most notorious guests: Bonnie and Clyde, water in the bathroom has been known to turn on and off by itself. The original elevator seems to have a mind of its own. That or it is taking phantom guests to their rooms now and then. It has frequently been spotted ascending and descending of its own accord. One of these may be the ghost of a little girl who has been seen now and then getting off the elevator at the second floor. She takes two or three steps and then vanishes. In the same way the Skirvin residents (the famed hotel in Oklahoma City) have complained of a woman's presence harrassing the men, the Stockyard Hotel hears reports of women who have felt as if someone has just crawled into bed with them. Turnabout is fair play, ladies. Another room has gotten complaints from staff that the TV and radio turn on by themselves. The staff in the hotel's marketing office (in the basement) have reported a unseen but nonetheless felt presence. A night clerk kept getting prank calls one night. The phone would ring and no one would be on the line when he answered. After several of these calls, he looked at the phone and noticed the call was coming from the lobby. He leaned over to catch a glimpse of the lobby phone when the mysterious caller rang again. Once again, no one was on the line. But more to the point--no one was in the lobby. 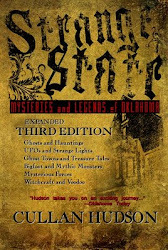 Some of these spooky goings-on are placed squarely on the shoulders of Jake, a one-time employee who passed on. 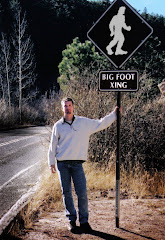 Those who attibute these hauntings to him simply feel he is still going about his job and isn't out to scare anyone. Fort Worth Stockyards, Fort Worth, TX--Once the home of the Swift Meatpacking Plant's offices, this now-defunct Spaghetti Warehouse location sits abandoned but in good repair. Former restaurant workers would complain of ghostly activity such as water in the kitchen that would turn on and off inexplicably--sometimes even exploding all over the place violently. A girl mischievously plays in the bathroom also, unraveling paper towel rolls. It is said she died in the bathroom, after choking on a piece of candy. How bitter sweet. And a cantankerous old cowboy has been known to knock over stools and toss glasses. 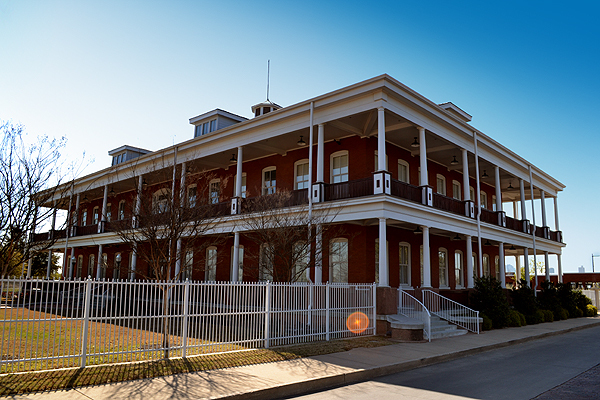 Even after its closure, visitors to the historic Stockyards would catch sight of a woman walking alond the upstairs balcony. At the same end of Exchange Avenue visitors have glimpsed a phantom cowboy riding his horse up the street. I was flipping through the channels last night and found a vampire movie on Syfy. My eyes were all set to roll painfully into the back of my head as my finger lay poised on the channel button. Then I thought, well I'll give it a moment to see how horrible this film is. That moment turned into the rest of the movie. I was shocked. This was a good film! 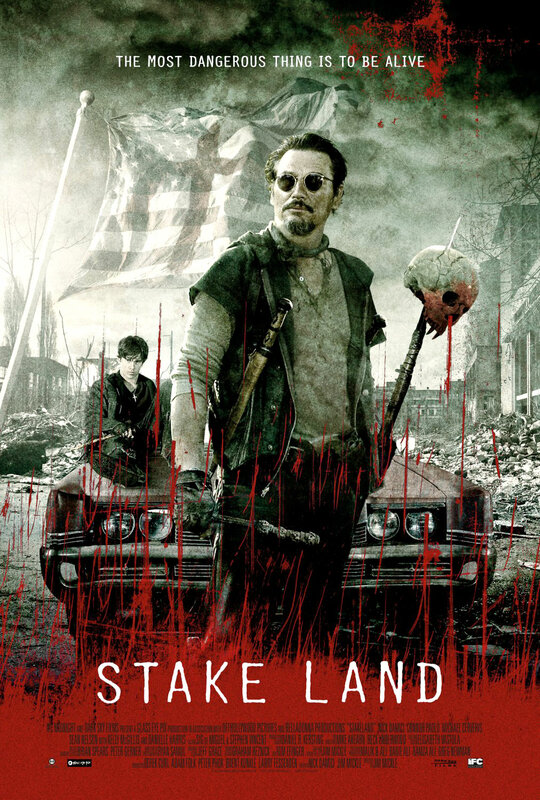 I checked Stake Land out on Rotten Tomatoes and it got a surprising 4 out of 5 stars. One critic echoed my own thoughts: "[the director's] observation of a devastated working-class America is so sharp that the horror elements, though effectively handled, come to feel like an afterthought". Is this a film you've seen yourself? What were your thoughts?